More than just a translation agency. We offer communication solutions that take cultural differences into account. We help you choose the right format for your message and create a balance between localization and globalization. Space 360 does not communicate your message in writing only. We produce, provide voice overs and customise your graphic material as needed. We understand how important it is to communicate properly, which is why we do not just offer traditional language services but also cultural analysis and cultural insights to companies and authorities that have different market groups, both domestically and internationally. Using 120 languages and dialects, we improve understanding between people and cultures. We like to take on typographically challenging languages such as Arabic, Somali, Russian and Chinese. We also work with dialectal variations and Sweden’s minority languages. Your guarantee of high quality! 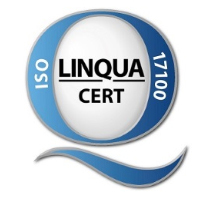 Space 360 is the first ISO 17100 certified communications company in the Nordic region!